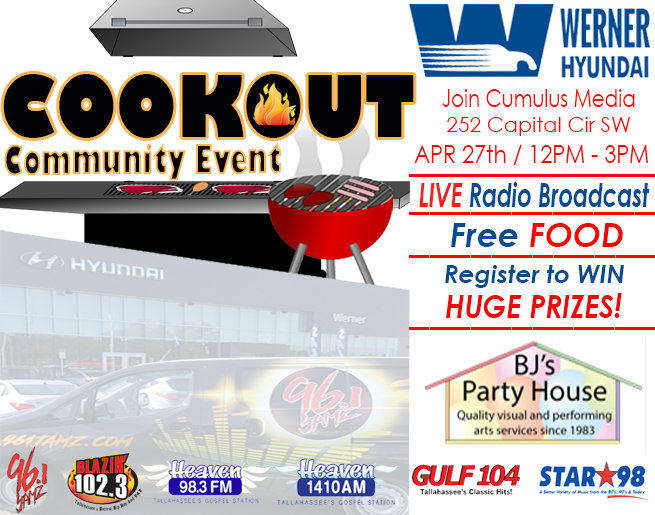 Join Heaven 98.3 for a COMMUNITY COOKOUT – LIVE BROADCAST EVENT at Werner Hyundai on Saturday, April 27th from 12PM – 3PM! There will be FREE food and BJ’s Party House will be providing a bounce house for the kids, a balloon artist, sketch artist & face painting! You also have the chance to WIN huge prizes! Don’t miss on this awesome event!